Summary – This blog explains two approaches that Exchange administrators can take to export Exchange mailboxes for a particular date range and recommends one based on the advantages and disadvantages of both. Read on to know about all these. Run New-MailboxExportRequest filters (Manual Method) – Exchange Server 2010 provides this PowerShell command using which Exchange administrators can export mailboxes into PST file for a given date range. Note – In this manual method ‘Report’ is the name of the Exchange mailbox. Use an EDB to PST file conversion software (Automated Method) – The second method is to use an EDB to PST file conversion software that provides users the option to export mailboxes sent or received within a specific date range. 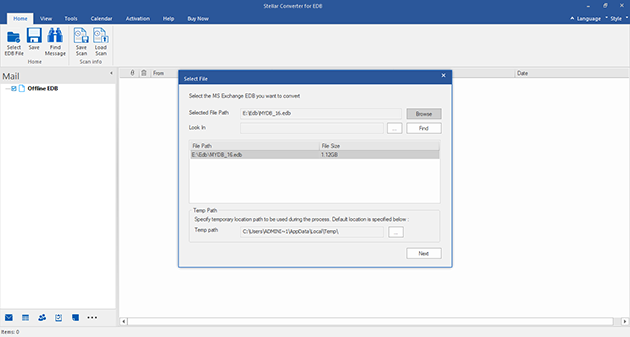 For example, run Stellar EDB to PST Converter. The reason being, it provides a ‘Search Criteria’ window that allows Exchange administrators to search emails within the particular date range. To use it to export Exchange mailboxes for a particular date range, execute the following steps. Select – Choose ‘Conversion Mode’ by placing a check mark either on ‘Offline EDB’ or ‘Online Exchange’. Choose EDB file by clicking on ‘Open EDB’ or ‘Find EDB’ depending on whether the location of EDB file is known or not. Further, click on the ‘Start’ tab. 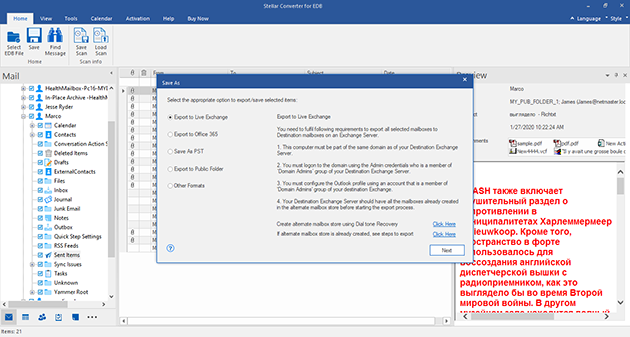 Scan – With a click on ‘Start’ button, the software begins scanning the Exchange database EDB file, the progress of which is shown in the image below. Preview – The software comes up with a preview window that showcases all the mailboxes. To preview a data item, such as an image, email, etc., users need to select the particular data item. Save – Click on the ‘Save’ icon that is present in the ‘File’ menu. The ‘Save As’ dialog box comes up from where you can select one from multiple file saving options that are PST, MSG, EML, RTF, HTML, PDF, and Office 365. Note – The ‘Search Criteria’ window of this EDB to PST file conversion software not only provides ‘selection of date range’ feature but several others to select emails. Emails can be searched based on ‘To’, ‘From’, ‘Cc’, ‘Subject’, ‘Body’, ‘Attachment Name’, ‘Importance’ and ‘Item Type’. Provides two conversion modes – This software provides two Exchange Server EDB to PST file conversion modes that are ‘Online’ and ‘Offline’. This means Exchange administrators can perform EDB to PST conversion no matter the Exchange is in the ‘online’ or ‘offline’ state. Extracts one or more mailboxes – Depending on the requirement, this software extracts one or more mailboxes from the Exchange database (EDB) file. 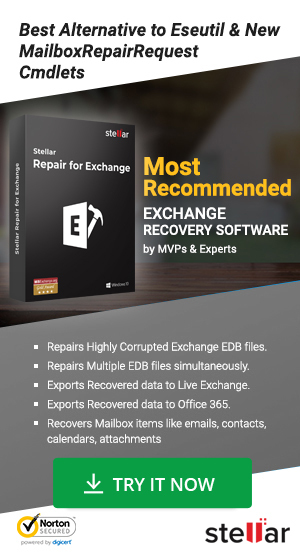 Recovers deleted Exchange mailboxes – This software migrates EDB to PST file while providing an option to recover Exchange mailboxes that were accidentally deleted. Converts one or more Exchange EDB files – This software solution enables Exchange administrators/professionals to convert one or more Exchange EDB files as per requirement. Exports Archive mailboxes – This software that converts EDB to PST file can even export the archive mailboxes from Exchange EDB to PST file, which is quite a useful feature. 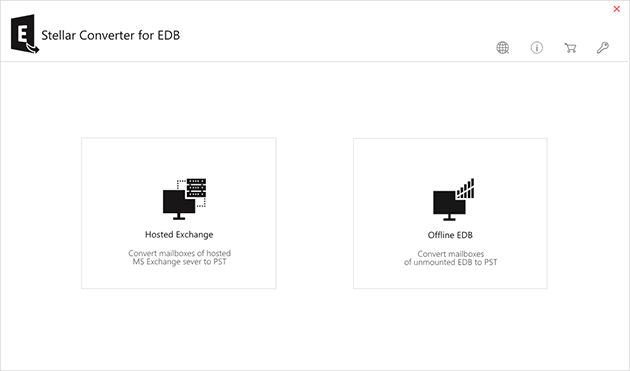 Migrates offline EDB file to Live Exchange Server and Office 365 – This EDB to PST file conversion software provides an option to migrate offline EDB file to live Exchange Server and Office 365; however, one can be chosen at a time. Provides multiple file saving options – Depending on the requirement, Exchange administrators can save converted data in either PST, EML, MSG, RTF, PDF or HTML file format using this software. Compatible with multiple Exchange versions – This software is compatible with several versions of Exchange Server that are Exchange 2016, 2013, 2010, 2007, 2003, 2000 and 5.5. As such, there is no disadvantage associated with ‘New-MailboxExportRequest’ cmdlet to export Exchange mailboxes for a particular date range, except that Exchange administrators need to be careful while using it and make sure that the syntax is correct. Still, Stellar Converter for EDB is suggested. The reason being, this software offers multiple features in addition to exporting Exchange mailboxes for a specific date range, and these features are exceedingly beneficial. 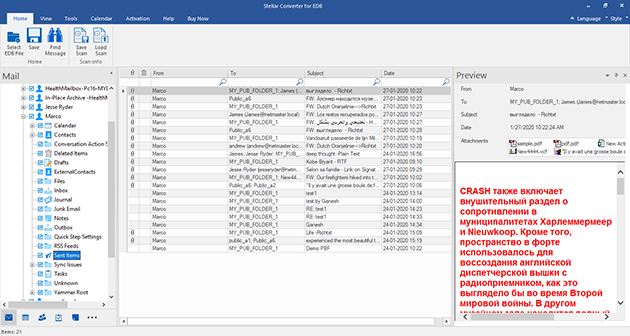 Besides, it has an easy-to-use GUI because of which it performs EDB file conversion easily and quickly. It is a tool that can come to multiple uses of Exchange administrators.